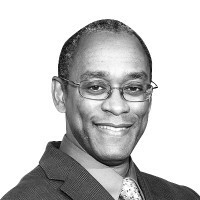 Keith Wailoo is Townsend Martin Professor of History and Public Affairs at Princeton University, appointed in the Department of History and the Woodrow Wilson School of Public and International Affairs. Formerly, he taught in the Department of Social Medicine in Medical School of the University of North Carolina at Chapel Hill, and at Rutgers University. He is author of many acclaimed and award-wining works including, Pain: A Political History (Johns Hopkins University Press, 2014); How Cancer Crossed the Color Line (Oxford University Press, 2011), and Dying in the City of the Blues: Sickle Cell Anemia and the Politics of Race and Health (University of North Carolina Press, 2001).